Evangelist Clayton Jennings is Known for his Life-Saving, Christ-filled messages and on more than one occasion the Evangelist has used his platform to raise money during moments of crisis. His Loyal support base of followers have stepped up to the plate multiple times. However, as important as all of these causes have been, this one especially touched home. 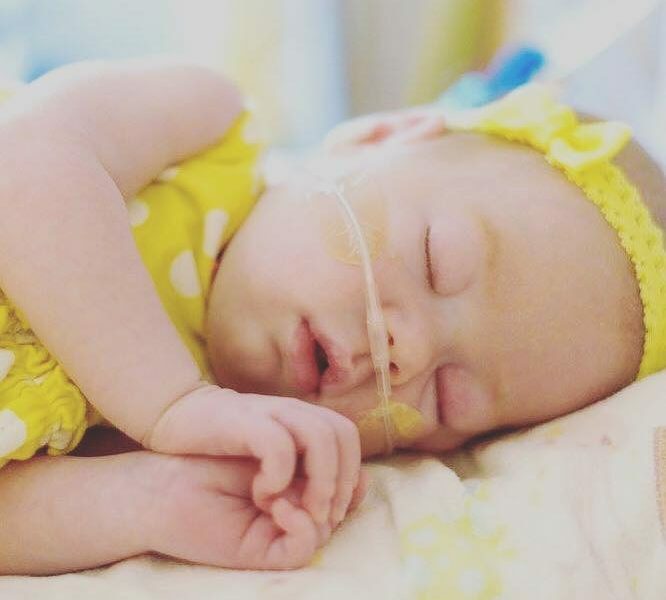 This article touched my Heart as it reminded me how precious life is, and how often we can forget how fragile it can be, as precious and fragile as little baby girl Emily. Please pray for her and the strength of her family as she fights for her life. Here is Clayton Jennings post published on Sunday, September 17, 2017. Four hours ago I asked you to donate to help a little girl as she fights for her life against a deadly disease. I told you the goal was $10,000. You have already surpassed that goal. God is going to honor you for what you’ve done tonight. You all inspire me so much. The TellTheWorld Family is amazing. Thank you for being the hands and feet of Jesus. Keep praying for baby Emily and her family. This shows real faith in action, by taking whatever God has given you and using it for his glory. When we are operating in faith Lives get changed forever and even though Baby Emily is not out of the woods yet, you can join us in prayer for a miracle.